I decided, with Heather’s encouragement, to try my hand at some double exposures during our annual lilac fest! Here is the lovely Janelle and some lilacs! I was quite pleased with my first try! 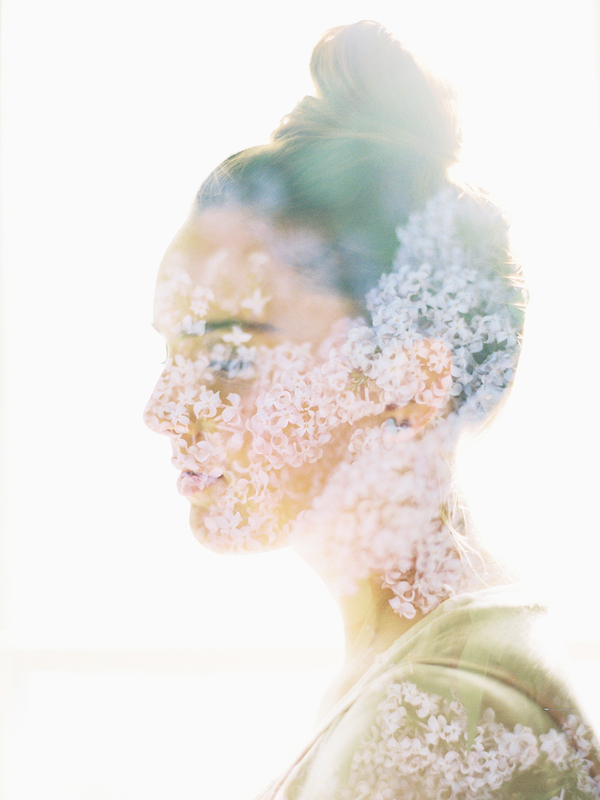 Do you remember those accidental double exposures we used to get on our 35mm film cameras? Where the film wouldn’t advance for some reason? Yea that’s basically the idea here! My Contax 645 has a button you flip so the film doesn’t advance. So you set up your first shot, where in this case I had Janelle stand in front of a window so I had good backlight. Flip the no advance button, compose and take the shot. Then I went on the porch where I had a bucket of lilacs, flip the switch back to advance and take picture of lilacs! And here is the end result; a double exposure! I’m pretty sure I’ll be doing a lot more of these!